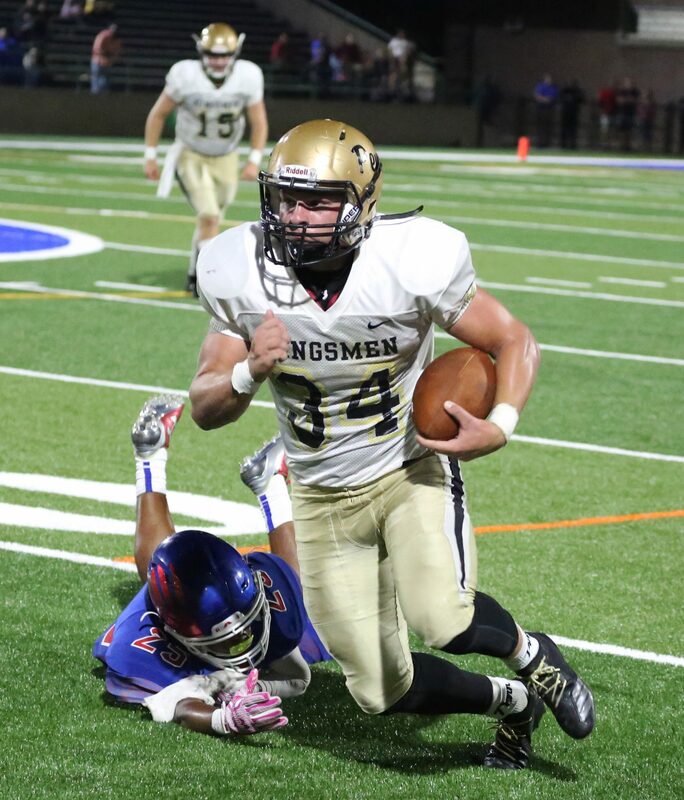 Running back Ryan Whiteman has been a force for the Penn Kingsmen all year. It was love at first hit for Whiteman, who is a 5-foot-10, 205-pound bruising senior. Whiteman is a force to be reckoned with on the gridiron, pulling inspiration from NFL star Leonard Fournette. When Whiteman is not playing or practicing football, he tries to be a student of the game. Even his own defense has trouble with Whiteman, who punishes enemy defenders with his physical style of play. “Whiteman is a very powerful runner and helps the whole defense get better while trying to stop him,” Drew Schneider, a senior safety for the Penn Kingsmen, said about Whiteman’s ability. With the Kingsmen hot as of late, Whitemen hopes to help lead the team to back-to-back State Championship appearances.